I almost feel bad for plastic. With catchy terms like ‘bag bans’, ‘bottle bills’, and ‘BPA’ thrown around as freely as the stuff itself, plastic is an easy scapegoat for the environmental crisis. For a moment let’s not tell others to reuse a bottle, bring a mug, or carry chopsticks. Instead, let’s take a broader approach and very simply turn a negative into positive. 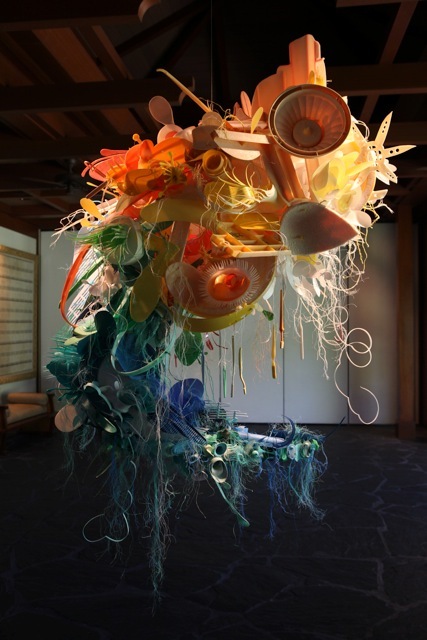 One woman taking this to heart is artist-activist Aurora Robson, whose creation below is made from 100% plastic marine debris. No Paint. No rivets. No adhesives. Just plastic. 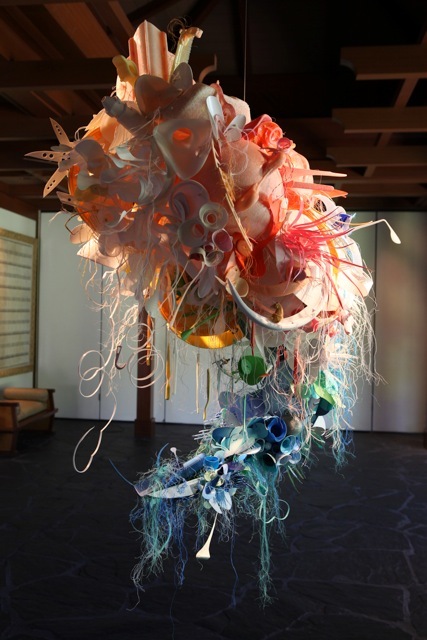 The material for this piece was collected by the Hawaii Wildlife Fund at Kimilo Point, HI. At these beach cleanups, HWF volunteers collect over two tons of plastic every two months. I searched Google for swell and I found your blog 🙂 I like your blog, well done! Wow. I am in love with her artwork. I can imagine a world filled with these stunning creations. Thank-you for sharing.